For the last few weeks I’d been noticing an accumulation of heart-shaped chocolate boxes in the supermarket. I hadn’t known the reason until Barret and I were invited to a special dinner for el Día de Amor y Amistad. El Día de Amor y Amistad (Love and Friendship Day) took place on a Friday and the main thoroughfare of Santander was packed. Since the holiday is also a celebration of friendship, there were tons of couples and groups of friends. Every restaurant along Santander had some sort of decoration, even the little arepa shops. Barret and I caught a taxi from the main street and headed to Milan. Although it’s a much quieter neighborhood than Cable, it is known for its number of restaurants. Masala is my favorite restaurant in Milan and it is also the only Nepali/Thai restaurant in all of Manizales. It’s delicious on an ordinary evening, but it’s even better during special events. 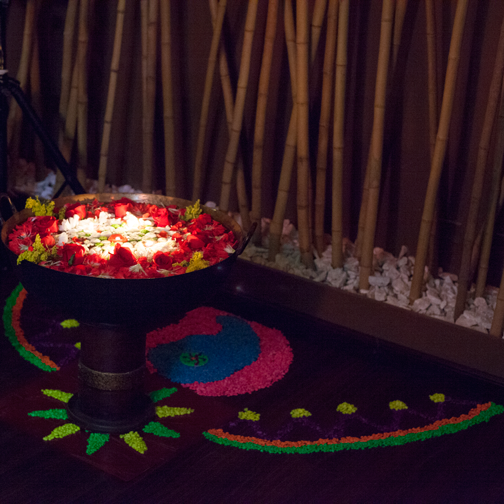 The reason being is that Samata, the owner and chef, creates special menus that are only feasible for large numbers of customers. While Barret and I nibbled on watermelon and mint salad, a musician in a red suit strolled between the tables with a saxophone. Celine Dion was on heavy rotation. I also came to realize that el Día de Amor y Amistad was not just for lovers and friends, but for entrepreneurs. DSLR digital cameras are not a common sight in Colombia, so special events are perfect for photographers who want to earn some money. There were two different couples that came into Masala to take photos of the ambiance and of anyone who tipped a few bucks and wrote down their email address. After our delicious candlelit dinner, Barret and I slipped out and met a friend for a coffee. Celebrating love and friendship- what a good start to the weekend. Colombia’s overwhelming preference for meat is the reason I was surprised to discover vegetarian and even vegan restaurants in Manizales. Barret and I tried two different places over the same weekend- Rushi and Laurel. Both had a menu of the day, which included soup, a main dish, a small dessert, and a drink. While the lack of meat is obviously what distinguishes vegetarian restaurants from traditional Colombian restaurants, there are a few things they share in common. Even at traditional restaurants, soups are often vegetable-based and the beverages are almost always fruit juices. I kind of find it amusing that someone eating a slab of beef might also be sipping strawberry juice. There is such a great variety of fruit in Colombia and the majority of it is offered as a juice. I feel like I should be writing more about the vegetarian restaurants, but it is the fruit that gets me so excited. 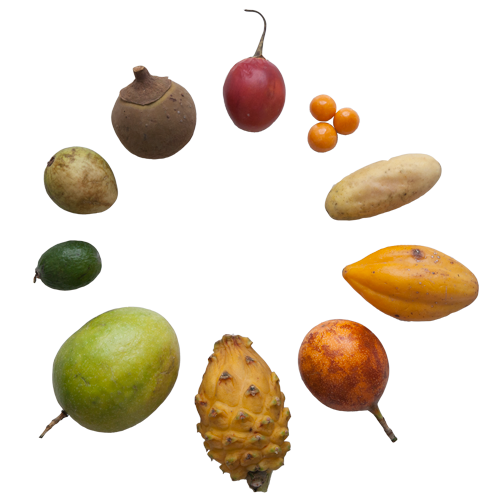 So instead, here is a sample of the exotic fruit that Colombia has to offer (starting clockwise with the red tomate de árbol above). 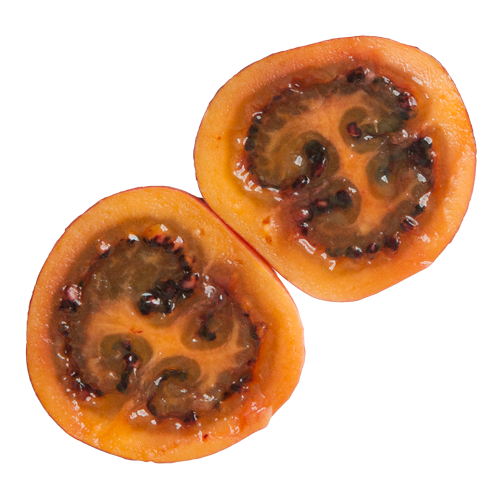 Tomate del árbol- This fruit is sweet but also has the tang of a tomato. Most of the time this is available as a juice, but I personally enjoy eating it raw- just scoop out the center, seeds and all. 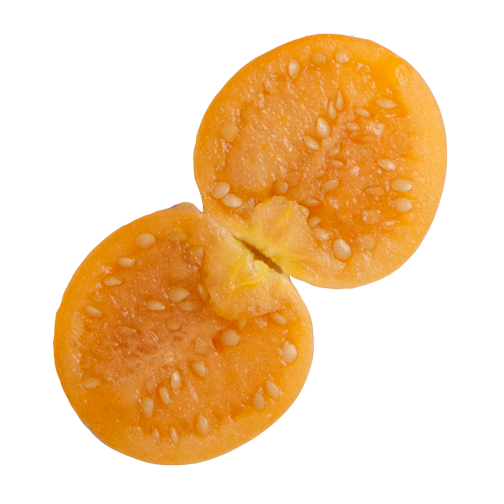 Uchuva – These are also known as cape gooseberries. They have a strong and slighty tart flavor and are very slippery once they’ve been washed. I’ve only ever seen them in people’s gardens, so Colombia is the first place I’ve noticed them commercially for sale. Lucky me! 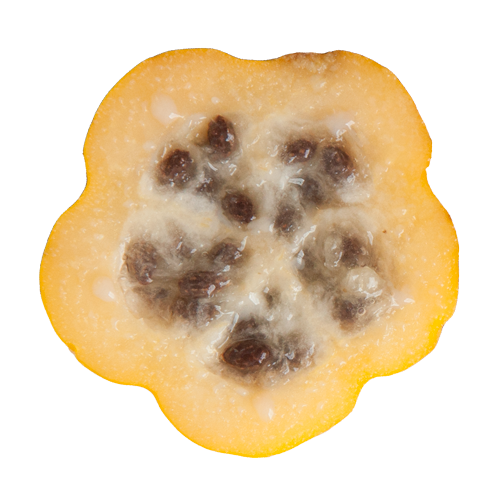 Curuba – It is also known as the banana passion fruit because of its fuzzy, yellow exterior. 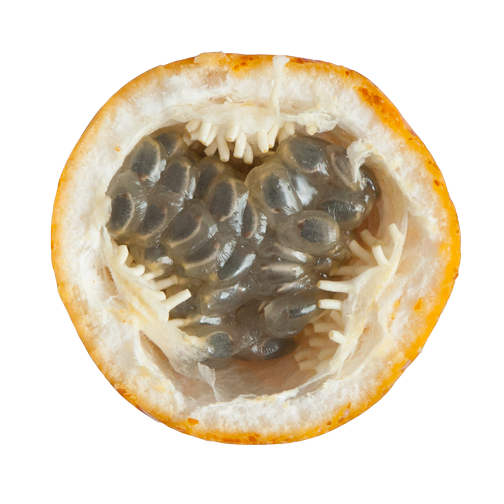 Unfortunately though, it its raw state it tastes like the boring cousin of a passion fruit and the seeds are very hard. On the other hand, I have been assured that it makes for a delicious juice when blended with milk. 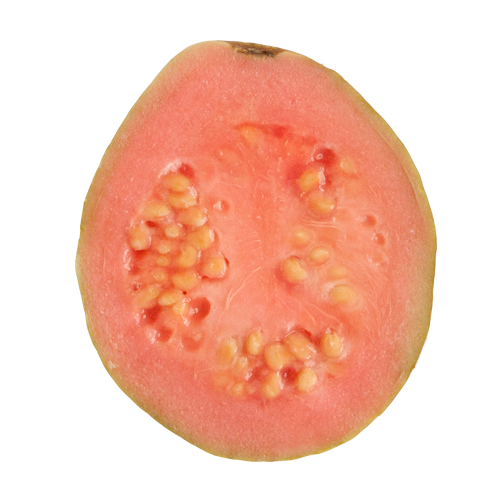 Papayuela – There’s a reason why the guy at the grocery store did not remember the name of this fruit. It is a small variety of papaya with all the seeds and hardly anything edible. It’s the jungle equivalent to eating sunflower seeds in the shell, except a lot less satisfying. Next time I’ll get a regular papaya. 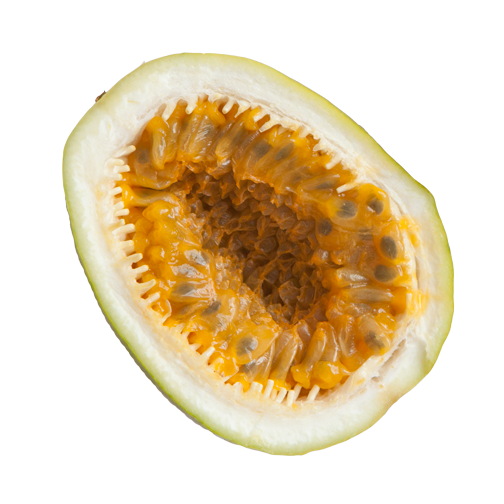 Granadilla – The rind of the granadilla is kind of like crème brulee. The shell is easy to crack with a fingernail while the lining inside is soft and spongy. 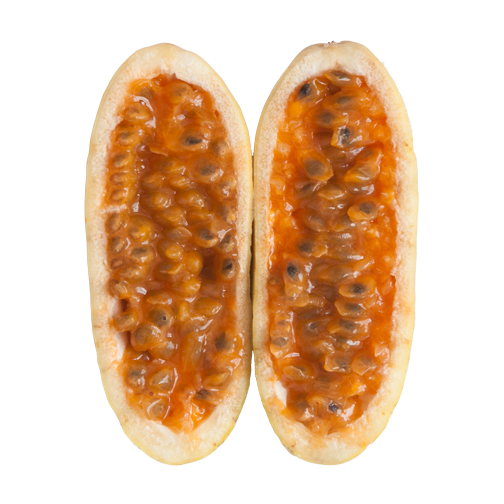 The Granadilla’s seeds are similar to those of a passion fruit in terms of texture, however they are not tart at all. This fruit is refreshing- like flavored water. 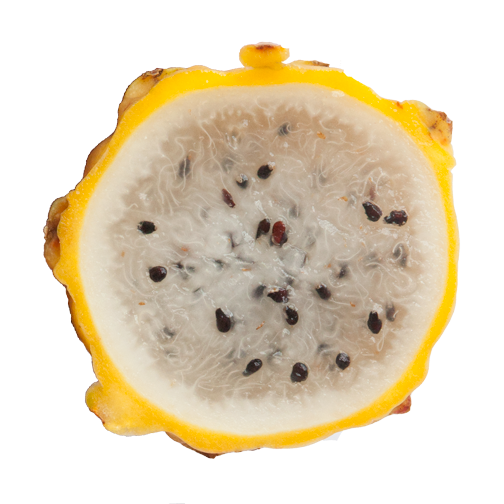 Pitahaya – The center of the fruit has the texture of a kiwi and a taste that’s just as delicate. I’m pretty sure I’ve bought the Asian variety of this fruit, but I don’t remember it tasting nearly as juicy as the pitahaya. Maracuya- This one tricked me a bit because it is passion fruit, but it doesn’t look like the purple ones I am used to. It is very tart and best juiced or on top of something like plain yogurt. 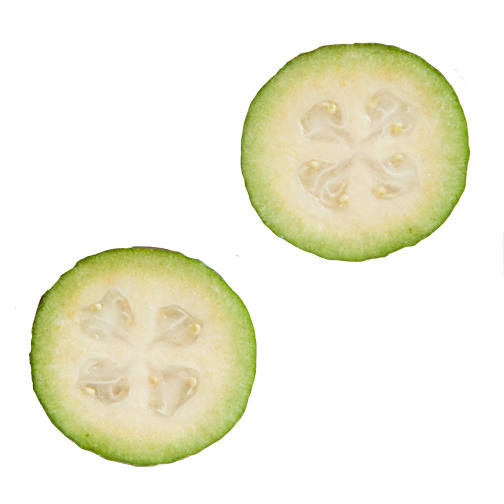 Feijoa – These South American fruits also happen to grow very successfully in New Zealand. In Colombia they are most often found in juices, but I love them raw. The scent is what stands out most about them- they smell like a soda bottle full of Sprite. Guyaba – In its raw state, the fruit is firm and the seeds are numerous and quite hard. That is the reason that guyaba is most often made into pastes or sugary cubes called bocadillo. I would have to agree that is the best use for this fruit. Bocadillo and a slice of salty campesino cheese are absolutely delicious. 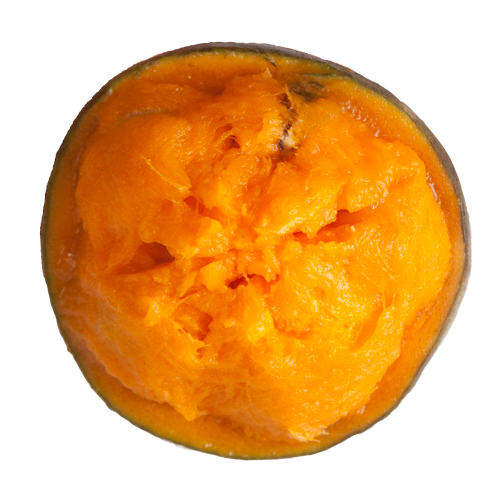 Zapote – The dark exterior is rough and kind of looks like an acorn, but the edible part is pumpkin-orange. There are five large seeds that are cushioned by a sweet flesh that has the texture of a ripe mango. The flavor was sweet and one description that came to Barret’s mind was maple syrup. Although this feels like a good list, there is still so much more to discover at the supermarket!